We are proud to offer a wholly customized local product of unequalled quality combined with stellar customer service. Aqua-Wood’s philosophy centers on “total quality”. We are continuously seeking a perfect balance between satisfying our clients, our employees and our shareholders. We also strive, with our partners, to work in harmony with the environment. Over the last few years, we have invested in research and development in order to better meet the needs of our clients and also distinguish ourselves from our competitors on the market. 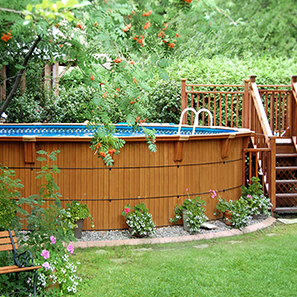 At Aqua-Wood, “total quality” is an objective in and of itself. It is a concept that informs our entire business process. We have a “total quality” approach when it comes to our products and services. We also apply this approach in the relationships we build with our clients and collaborators. We take pride in the relationships we build with our clients, because, based as they are on trust, they are our pledge of excellence. 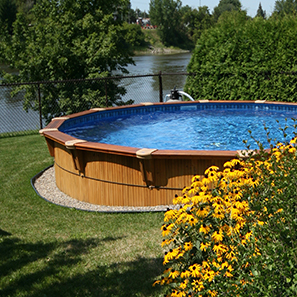 Founded in Boucherville in 2001, Aqua-Bois inc. is a wood pool manufacturing company that also offers installation services. 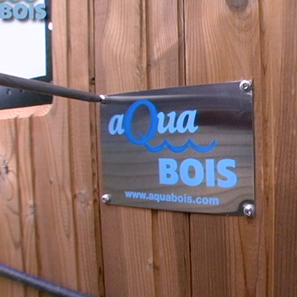 While our head office is in Quebec, Aqua-Wood products are distributed at the national level. Moreover, our markets are in full expansion in Ontario, the Western provinces and the Maritimes. In addition to our permanent team, Aqua-Wood hires 25 seasonal employees, who always go out of their way to deliver a quality product within a reasonable timeframe. Timely deliver is also made possible thanks to our large surface warehouse in which components manufactured year round can be stored. Components are, therefore, available on demand during the high season. Aqua-Wood works tirelessly to manufacture, distribute and install the highest quality above ground and in ground wood pools whose visual attributes enhance the environment and leisure and relaxation time. 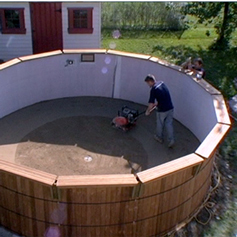 The company therefore offers an interesting alternative to traditional above ground or in ground pools. As a leader in its field, Aqua-Wood invests significantly in research and development. Moreover, in order to maintain its reputation, the company uses only the highest quality materials and applies innovative processes. The continuing education we offer all our employees also helps us meet our objectives. Lastly, the solid commercial relationships we have set up with our growing network of distributors and suppliers have helped the company evolve and meet its goals.